On April 25th Xiola Linden announced on the official Second Life blog that Second Life is now on Instagram. 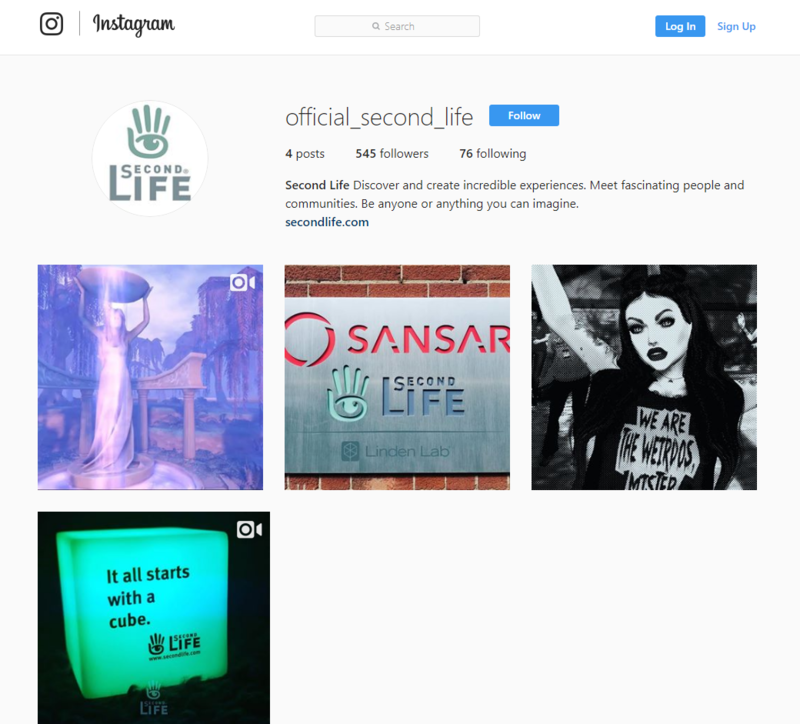 This is great news for anyone that uses Instagram regularly and wants to stay updated on all things Second Life. At the moment there have been 4 posts and 545 followers so far. I love that the first post is It all starts with a cube. We’re excited to announce that we’ve opened up a new social media channel for Second Life. Since we’re turning 15 this year – we decided that we’re mature enough to be trusted with an Instagram account. Head on over, follow us, and we’ll be sharing some fun things there. Check out our first post now!